Service Is Job One - from the time you contact us and beyond! Bringing Care and Professionalism to Every Job! Whatever It Takes, Whenever You Need It! Based just east of Pittsburgh, Three Rivers Power Sweep, Inc. is recognized as one of the region’s top commercial Power Sweep companies. Whether your concern is maintaining the appearance and cleanliness of your shopping center parking lot, reducing illicit discharge at your manufacturing plant, or controlling erosion from drag-out of your construction site, Three Rivers Power Sweep, Inc. (TRPS) has the equipment, experience, and service packages to solve your problems today. Our clients enjoy 24 hr. emergency call out services and flexible contracts that offer the right service at the right time. Shouldn’t you call TRPS today at 412-795-6544, or use our Contact Us page. Commercial / Retail Parking Lot Sweeping and Exterior Maintenance. Shopping centers and industrial park management rely on parking lot sweeping and Porter Services as a way of maintaining a great first impression. Property management professionals realize that a clean, well maintained center is an absolute requirement for the success of their tenants. Our extensive equipment fleet enables TRPS to perform low clearance applications such as parking garage sweeping, as well as confined areas such as warehouses. We work with Municipalities implementing Storm Water Best Practice Management Plans and perform Municipal Street sweeping. Widely recognized as having both economic and environmental benefits Street Sweeping can reduce capital expenditure of equipment and reduce the costs of both maintenance and manpower. Construction and paving support such as construction drag-out sweeping, milling sweeping or street sweeping after demolition is a common service provided by TRPS utilizing our mid-size air sweepers or the larger mechanical sweeping units. Plant interiors, or plant streets, we have a wide range of equipment to help reduce illicit discharge into sewers systems as well as reduce fugitive dust that may cause health and safety issues. Residential Sweeping. 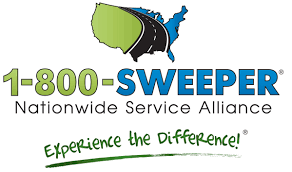 Home Owner Associations (HOAs), Neighborhood associations and apartment complexes contract with TRPS for annual winter clean ups, leaf clean ups, street sweeping, and stone chip clean up after tar and chip paving. We offer spring cleaning and fall leaf removal contracts as well as multiyear service contracts that enable you to maximize your service dollar. TRPS has a long history of handling the big jobs best! From basic festivals and street fairs to large events at PNC Park and Heinz Field we are able to mobilize large labor forces as well as equipment to handle the job in a timely and cost effective manner. Learn more about the extensive services offered by TRPS on our Services page. Our ever-growing service offerings cover everything from turnkey dumpster operations to vacuum truck sweeping, porter services and annual leaf removal! Our service area includes but is not limited to an area stretching from Washington, PA, to the South Hills, North Hills, Pleasant Hills, Cranberry, Wexford, Greensburg, and out to Canfield OH. Our range is quite extensive and ever-growing as we continue to expand our business. Whatever your power sweeping needs, shouldn’t you call TRPS today at 412-795-6544. We’ve been serving Western Pennsylvania for over 25 years. We’re looking forward to your call. To see our entire service listing, visit our services page. Not sure if we provide the service you need? Call us at 412-795-6544, or fill out our contact form below. Three Rivers Power Sweep, Inc.